Citizen journalist and activist Tommy Robinson has branded Paypal’s decision to stop processing his payments “fascism,” saying the company is trying to “silence” him. Paypal confirmed that it had stopped handling payments for the founder and former member of the English Defence League, saying that while it could not comment on individual account holders, it says it regularly reviews accounts to check they are abiding by their ‘acceptable use’ policy. “Striking the necessary balance between upholding free expression and open dialogue and protecting principles of tolerance, diversity and respect for all people is a challenge that many companies are grappling with today,” Paypal said in a statement. “We work hard to achieve the right balance and to ensure that our decisions are values-driven and not political,” they added. He also claimed that Paypal has frozen “a lot” of money for 180 days. Mr Robinson, who was also banned from Twitter in May, has recently been freed from his bail restrictions whilst awaiting his next court appearance for contempt of court. The citizen journalist was bailed following successfully challenging his contempt of court conviction. 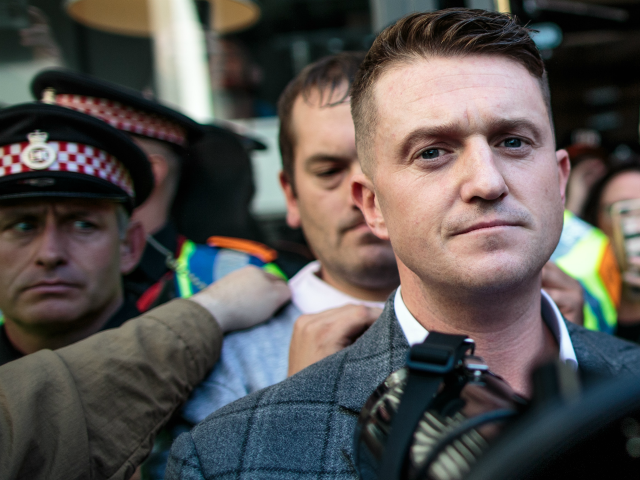 In May, Robinson was arrested, arraigned, and jailed within a matter of hours for livestreaming outside of a grooming gang trial at Leeds Crown Court. The appeals court ruled the process had been conducted in haste with legal procedure not being followed and “gave rise to unfairness,” resulting in the judges saying Robinson was entitled to a retrial. The Recorder of London later determined that the case was too complex for him to hear, and was referred to the Attorney General for a “proper and thorough” examination, likely to take place in the New Year.